A sport that has largely remained unchanged since the Cambridge Rules were drawn up in 1848 is finally embracing technology. 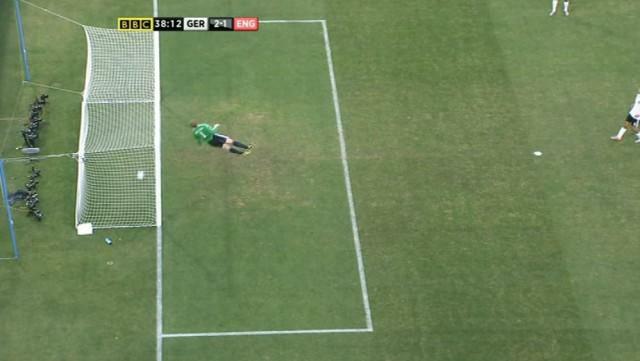 FIFA on Tuesday announced that it’s committed to using goal-line tech at the 2014 World Cup in Brazil. As of now, there are four potential contenders up for selection, with two in particular garnering a lot of attention. FIFA said it will use the Confederations Cup in June as a major trial run, and will accept submissions from companies until then. “Interested GLT companies will be invited to join an inspection visit to the Confederations Cup venues, currently scheduled for Mid-March, with a final decision due to be confirmed in early April,” FIFA said in a statement. The decision comes following IFAB, FIFA’s governing rule-making panel, approved goal-line tech after two systems, Hawk Eye and GoalRef, passed extensive testing. Both were used at the Club World Cup in Japan in December, and are expected to be major contenders for use in the World Cup. FIFA has strongly resisted the use of technology in Football matches, but that all came to a tipping point in the 2010 World Cup when Frank Lampard’s chip over Germany’s Manuel Neuer clearly crossed the line but wasn’t called. While technology may be implemented in matches, that still doesn’t mean it’ll be called upon during games. I’d be very interested to see how this affects the sport going forward, and if it’ll prove 100 percent accurate every time.